The concentration of wealth is very high in Argentina. But there’s been little development of the idea of social responsibility for business leaders. Roughly a third of Argentina’s population fall below the poverty line. Foto:AFP. Eight individuals control as much wealth as the poorest half of humanity, about 3.6 billion people. That’s according to a new report released last week by Oxfam. The figure is startling and it helps put into perspective the vast income inequality that exists in countries around the globe, of which Argentina and Latin America are not immune. None of those eight billionaires are Argentine, but the world’s 21st-largest economy is still a deeply unequal place. 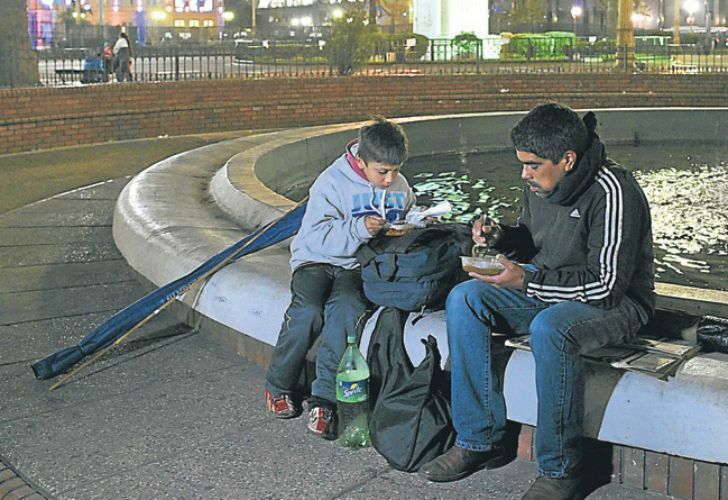 The cause, according to Claudio Lozano, leader of the Unidad Popular political party and coordinator of the Institute on Thought and Public Policy, is Argentina’s high poverty rate. While Argentina’s inequality – as measured by the Gini coefficient, the most widespread measure – isn’t extremely poor, it ranks among the world’s third most unequal countries. According to data from the World Bank, Argentina’s Gini coefficient has been on a steady decline from its 25-year peak in 2002 to a low in 2013, only to rise slightly the following year, the last for which data is available. Argentina stacks up against other nations as one might expect it to. It’s better than Brazil, roughly on par with Chile, slight worse than the United States and Western European nations such as Spain, Italy and the United Kingdom – and much less equal than Scandinavia. Figures put together by the INDEC national statistics bureau for the last quarter of 2017 clearly show how income inequality plays out in the country, indicating that the richest 10th of the country has almost 23 times as much wealth as the poorest. The richest 10 percent, the figures show, control more wealth than the poorest 60 percent of the country. In March 2017, the Observatory of Social Debt at the Catholic University of Argentina (UCA) released a report that placed Argentina’s poverty rate at a whopping 32.9 percent, sparking negative headlines against President Mauricio Macri and his government. Numbers from the same organisation for December 2017 are slightly more promising, with poverty dropping a point and a half to 31.4 percent. With a population of roughly 43.9 million, that puts roughly 13.8 million Argentines in poverty. But clear definitions aren’t so simple. Argentina measures both indigence levels, which refers to the ability to evade malnutrition, and poverty levels, which refers to the ability to obtain basic food, shelter, clothing and other necessities. The indigence rate stood at 5.9 percent. As of December 2017, the Argentine government has set the indigence line at 2,150.29 pesos and the poverty line at 5,397.23 pesos, according to INDEC. Average income per person in 2016 was US$11,970. Their cumulative wealth, according to Forbes, adds up to US$19.17 billion, or 3.5 percent of Argentina’s 2016 GDP of US$545.5 billion. Lozano says more money in the country, even if its concentrated in fewer hands, is a good thing overall, because it helps stimulate economic activity and growth. But that only works if the money stays in Argentina. Arroyo agrees, but places some of the blame for Argentina’s inequality at the feet of the uber-rich. Both believe the current administration’s relationship with private industry isn’t a good thing. 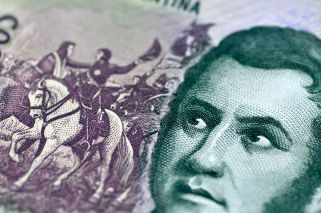 If the rich were taxed more effectively, Lozano believes, Argentina would have sufficient income to really help alleviate this high poverty rate. But that’s not the way he interprets the current situation. “The ministers are there for the businessmen,” he says.